Announcement Green Leaf Candles LLC is your place for Eco Friendly Candles and Bath Salts. We use only Natural and Eco Friendly ingredients in our products, always striving to go the extra mile. We use recycled glass containers for our container candles that we offer in both 40% and 99% recycled glass content and in a variety of colors. All of our products are thoroughly tested for quality and safety - assuring you the highest quality! 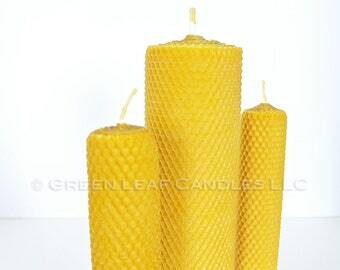 Green Leaf Candles are designed to burn efficiently, cleanly, and safely. Please make sure to read and follow instructions included with each candle. Green Leaf Candles LLC is proud to be a leader of the Etsy Earth team. Copyright 2009 - 2019 All Rights Reserved Green Leaf Candles LLC. Green Leaf Candles LLC is your place for Eco Friendly Candles and Bath Salts. We use only Natural and Eco Friendly ingredients in our products, always striving to go the extra mile. Organic Bath Salts - Muscle Ease Blend 16oz net wt. I LOVE this company! 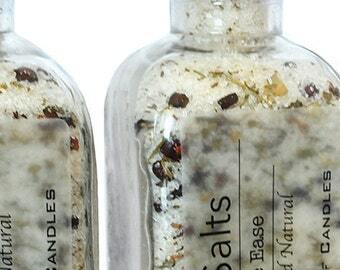 These salts are luxurious self care! I LOVE this company! These bath salts are luxurious self care! Beautiful large bottle, with a thoughtfully placed muslin bag in the top. Took a soak last night, divine! Soothed my muscles and smelled wonderful! Thank you!ill be a repeat customer for certain. Great quality! The glass is thick and not too fragile. Welcome to Green Leaf Candles LLC. 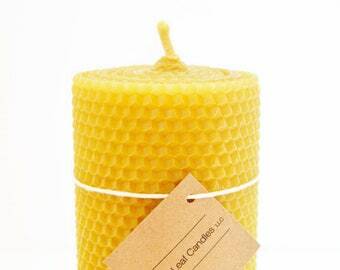 Your Place for Eco Friendly Candles. We use only Eco Friendly ingredients and have a variety of candles to choose from and of course are always working on creating new and attractive eco friendly products for your enjoyment! RETURN / REFUND: Merchandise may be returned within 7 business days of receipt of merchandise. You must contact Green Leaf Candles LLC via email prior to shipping back of merchandise, stating reason for return. Merchandise must be unused and undamaged for a refund. Shipping and handling of merchandise will not be refunded or otherwise compensated to buyer. If merchandise arrives back to Green Leaf Candles LLC used or damaged a refund will not be issued. CUSTOM/RESERVE ORDERS: Sorry, no refunds, returns, exchanges, or cancellations on reserve and/or custom orders. PAYMENT: Green Leaf Candles LLC accepts Visa, MC, American Express, Discover, and PayPal. Payment is due prior to shipment of merchandise. Green Leaf Candles LLC does not disclose personally identifiable information, or financial information to unauthorized third parties. SALES TAX: Applicable Sales Tax will be charged on orders shipped to Colorado addresses. CUSTOMS / DUTIES: Are the responsibility of the buyer/receiver of merchandise. COUPON CODES: If you have a Green Leaf Candles coupon code please enter it during check out. CANCELLATION: Non-custom/reserve orders may be cancelled prior to shipment. Orders cannot be cancelled after merchandise has been shipped. If you change your mind and want to return an item, please see the return/refund policy below. SHIPPING: Items are usually shipped within 1-5 business days after payment has been received. Custom orders may take longer. You will receive an email confirmation when your order ships. INTERNATIONAL SHIPPING: International shipments are shipped via USPS First Class International unless buyer requests otherwise, and shipping rate is agreed upon. If you do not see a shipping rate listed, in the product listing page, for the country you want your order shipped to, please contact me with the complete address to where you would like your order shipped to for a custom shipping quote. All items are packed carefully and securely for shipping. ECO FRIENDLY SHIPPING: In keeping with our Eco Friendly focus Green Leaf Candles LLC uses recycled cardboard boxes for most product shipment. Occasionally we may re-use a box for shipment of merchandise. Packaging material usually includes one or more of the following: recycled tissue paper, recycled plain paper, and/or re-used bubble wrap. All efforts are made to be Eco Conscious. Thank you. Accurate photographic representation of candles is presented, however due to monitor settings actual color might appear slightly different. Great care and attention is given to each and every Green Leaf Candle. All candles are made by hand one at a time and the height of pillar candles may vary slightly by 1/8 - 1/4", but will never be shorter than what is listed in the candle description. 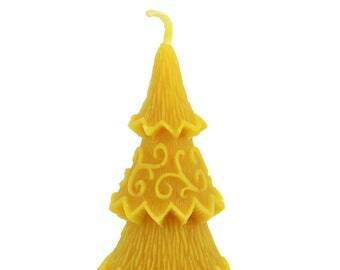 For example a 3x6" Tall pillar candle may actually be 6.25"Tall. Questions or Comments? Contact Green Leaf Candles at info [!at] greenleafcandles.com or via www.greenleafcandles.etsy.com. All descriptions and photographs are copyrighted 2009-2019 by Green Leaf Candles LLC. All rights reserved.